One year ago, I started up this blog with the intention of getting some of my writing out there, where it might gain some constructive criticism (and, I hoped, approval). Now I’m sitting with 155 awesome blog followers, many of whom have been active commenters on this site. I honestly didn’t expect so many people to be interested in my opinions as a writer, and the feedback I have received has helped alter my views on writing and publishing. I’ve picked up lots of tips and tricks that have already served me out in the writing world. So thank you so much! For the one-year anniversary of this blog, I thought I’d go over some of the things I learned regarding blog content, social media, and interaction. I started Forging Shadows as a place to put my poetry, short stories and eventually a serial or two. It was my aim to get people interested in my writing and to get feedback that would help me improve. 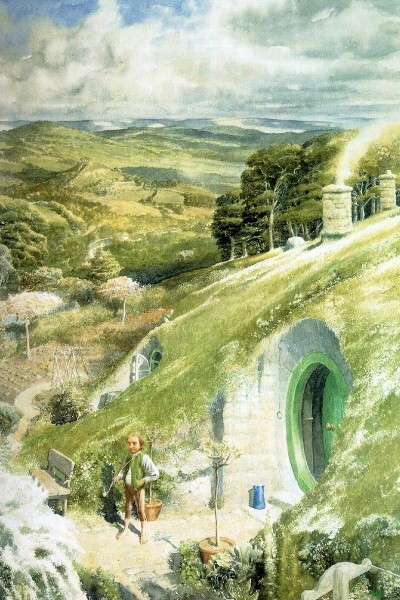 There are a number of blogs out there devoted to posting fantasy novels, section by section. I don’t know how it works out for them, but I found pretty quickly that people often weren’t too interested in what I posted. Maybe that says something about my writing (uh, oh), but I prefer to think that it says something about the way blogs work. I got a lot more traffic when I discussed the writing process, or even posted an apology for procrastinating and not posting new content. I think that unless you’re big in the world of blogging, a lot of people won’t read every single post you make. That makes a serial hard to pull off. People also like to weigh in, which is harder to do when you read a piece that is supposedly finished. And I can see why people wouldn’t want to put out full-blown critiques in the blog comments. I also found that any writing I put out between non-fiction posts got more attention. A hybrid blog worked better than just a fiction blog. Of course, this is only my experience. Others may have fiction blogs with thousands of followers, and I’m glad it’s working out for them. Everyone in the writing world is currently concerned with the social media craze. Which one is best? How do you use them properly? Are they worth it? I decided to take a look at my stats page to see what’s working best for me. One of the things that I noticed as I was preparing for this blog post was that I haven’t been participating in a lot of the social media that writers are supposed to engage in these days. I don’t have facebook, I barely use twitter, I’ve been trying pinterest but it really just feels like a personal bulletin board that happens to be online, where others can stumble across it. I found that I just didn’t have time to give each of these social media outlets enough attention to make it worth looking over by someone else. I’d rather work on this blog, or a work in progress. Twitter is quickly becoming my nemesis. To be honest, I have a hard time seeing why it’s so great. I’ve seen just a few interesting conversations, and just a few witty remarks. I’m in love with the TNG Season 8 twitter account and I like other accounts with similar concepts. A lot of the news I get on twitter revolves around book promotion, but with just 140 characters it’s hard to make a sell or even generate much interest. I’ve even unfollowed some people because all they do is tweet about themselves (ahem, Mike Wells). Of course, this makes me a raging hypocrite. These days, I pretty much only tweet when I’ve put up a blog post. And I only do that because wordpress tweets it for me automatically. I think I’ll save a full breakdown of this for later, particularly the analysis of writing sites. The stats may not be stellar to some of you, but I was just shocked that some people might want to read what I have to say. WordPress advises us to read other blogs and comment on them, and it wasn’t until I took that advice to heart that I started getting more traffic to my own blog. It also meant that I found some awesome people out there who have taught me a lot about writing. One thing I have really enjoyed is reading the comments that you all put up about writing. It has been really lovely to hear from you all throughout this year. You’ve given me a lot to think about and I have always felt better after reading a comment that someone put up. No one has ever left a nasty or even particularly negative comment on my blog. Plenty of people have disagreed with me, but always in the most civil of terms. Thank you everyone, for making forgingshadows’ first year a great one. Hopefully next year will be even better! Let’s be honest, no one can resist a good nano cat. The title of this blog is hopefully exciting for those of you who are doing Nanowrimo, but it also happens to be informational. Well, someone more charming and clever than I has done exactly that. Meet Val and Ben, who are already near and dear to my heart as fellow foreigners in a Scandinavian country. They created a forum for Nano writers to get together here and blog about their experiences, tips, tools, and more. The blog is aptly named, “Look! A Nanowrimo Forum! !” and I was invited to participate there. It is just the place to cogitate over character motivation, find a good writing programme, bitterly complain about word count or give (and receive) inspiration. So come on by and take a look. If you’ve written something cool about Nanowrimo, link us to the blog post (here or there) or comment. We’re always looking for new resources. 09.15: Arrive at coffee shop – late, of course. Put bike away, go stand in the coffee line. 09.20: Juggle hot coffee glass from hand to hand. Why do they always have to serve it in a glass? Haven’t they heard of mugs? With handles? Find writing nook, with already-present writing buddy. Hug writing buddy, exchange pleasantries. 09.30: Turn on computer during casual chatting with writing buddy. Gossip about work, university, bosses, and so on. 09.35: Fellow wrimo has found picture of adorable cat. Awwww! See writing buddy’s pictures of her actual cats. Norwegian forest cats are the best! Watch video of cats playing. 9.45: open Scrivener. Stare at empty slot. 9.50: open previous Scrivener chapter for inspiration. Complain to fellow wrimo about the difficulties of finding inspiration. Agree to a 30-minute challenge. 10.00: Finally settle on a good song to listen to on repeat. 10.20: compare notes. Both of you have around 500 words. Compare more cat photos. 10.30: with regrets, head down to university. Swear that more writing will be done tomorrow. Sometimes I wonder how I managed to win last year. I’m going to have to be way more disciplined this year – not because I won’t win if I don’t follow a tight schedule, but because I’ll stop working on my thesis to finish Nanowrimo, And that will essentially doom my master’s degree. The biggest reason I do Nanowrimo is because I get to hang out with other writers a lot. It helps me to hear their problems and look over and see that they’re being productive, and I should be too. If I didn’t have my writing group, I could pick any month to write a novel. March is looking pretty good – I’ll be out of a job, finished with university studies – why not write a book in March? Because it just wouldn’t be the same. At the same time, seeing these people ends in less of a word count than I want. And probably need. I always end up with at least one day during Nanowrimo when I have to write at least 10,000 words. One memorable Thanksgiving with my American family, I got up at 6 AM, wrote 20,000 words before Thanksgiving dinner, and 10,000 after we rolled home. Kids, don’t try that at home. Seriously. I already did, and it was disastrous. So. My biggest distraction, when I get down to it, is the presence of people who are supposed to be focused and writing, like me. Any other wrimos – are you meeting up with fellow wrimos in your region? What sorts of distractions do you dread during our great writing blitz? And for people not doing Nanowrimo this year, do you meet up regularly with writing groups? What distractions kill your word count most? Nano cat distracts, yet simultaneously calls attention to the fact that we should probably be attempting to lessen our mediocrity. There are a lot of different motifs out there for a ‘good character.’ Some people want heroes, some people want anti-heroes; we can have regular men and women, struggling adolescents, brilliant assassins, bad-men-turned-good – you get the idea. I want my Nanowrimo novel this year to be good. Good enough for me to work on it, revise it, and maybe even give to other people to see if they’ll like it. And with that in mind, I have dropped my previous pantsing approach, and am working full out on the planning. This would probably be a good thing to write out for all my characters. However, even if I had the time, I don’t know that I’d have the patience to do it. It’s fun to write a lot of these things, but I’m starting to itch for story progression. There are so many scenes I want to put down! But taking the time to make these things up has helped me think of a couple great scenes in which that can be put to good use. What else should we think about when we want to make a well-rounded character? As always, dazzle us with your brilliance in the comments. An example: a few years ago I was attending the fantastic Eastercon in London. Eastercon is a huge science fiction and fantasy convention which features famous novelists (George R.R. Martin, Neil Gaiman and China Mieville have all been guests of honour there), and consists of panels, workshops, endless games, book signings and all the things you’d expect at the con of your dreams. When I last attended, there was a late night panel on exactly this topic – how to make a believable fantasy world. So I went to check it out. To say I was disappointed would be an understatement. The panel consisted of four or five authors who, in reality, spoke about very little. One guy who wrote historical fantasy said, ‘make sure that your history is accurate.’ Gee, really? Another self-published woman spent most of the hour complaining that tween fans didn’t think her vampires sparkled enough. Which is definitely a topic worth talking about, but a little off-subject. At the end of the hour, I didn’t have any new tips. The general consensus of the panel was, ‘historical writers, make sure your world is accurate. Everyone else…make it multidimensional.’ Okay, but again, how? Since I’ll be working in a high fantasy setting for Nanowrimo, I want to make sure two things happen: firstly, that my fantasy world should not be a lesser copy of Tolkien, Martin or others. Secondly, my work should seem believable. How does the government work? Who’s helping the king run things? Is there even a king? Or maybe a queen? Government gets pretty complicated pretty quickly, so this is important to think about. How does the class system work? What do the lower classes think of the higher, and the higher of the lower? Who’s in which class? This is particularly important for me since my main characters will face this issue often. What is considered normal? Customs differ from region to region in our world, so it goes without saying that they should be totally different in another. How does the economy work? This is one of those things with which you could go into great detail, or little. I’m no big economist and I don’t think that a lot of high fantasy writers. Putting in a banking or monetary system will make a world seem just a little more convincing. How does technology interact with the world? With the rise of steampunk this is becoming an increasingly important question. How do the other creatures of the world come into play? We’re all used to elves and dwarves and orc-like things. If we want them to stand out from the crowd, we’ll have to develop them. What do the cities look like? We can take inspiration from London, Dubai, Beijing, ancient Rome, Paris underground, the steppes of Mongolia – or all of them. City planning can give a unique feel to something. How’s the environment doing? Fun fact: the ancient Romans are still at the top of the chart in terms of polluters. Aside from that, what is the environment actually like? How is it different from the environment of all those other books? What are the fashions? Laugh if you want, but fashion dictates the look of a lot of things. Not just fashionable clothing, but fashionable architecture, fashionable music, fashionable art, and so on. Naturally, one of the hardest parts is weaving this into a narrative without just setting it all down as an info dump. This list is a bit slapdash, full of things I pulled off the top of my head. There are, of course, a lot more things to talk about. The list could go on and on, but I feel that this post should not. If you have something you think should be on the list, put it down in the comments. I’ll be thanking you profusely throughout November. Maybe we can get a nice set of questions together that help build that elusive, well-rounded, completely knockoff-free world that we’re all looking for. Okay, it’s not really my first procrastination tool. There was the rest of the internet, and other writers complaining about plot lines, and thesis, and about a thousand other things. But this is cooler than cat gifs, George Takei, and those horrible television shows that I hate to love (I’m looking at you, Once Upon a Time and Vampire Diaries). A shout out to Graham Edwards, who wrote about something called Wordle on his blog. Thanks, Graham. Now I’ll never get anything done in November. After writing every fifty words, I’ll stop to see what my wordle looks like. Wordle is an application that turns text into word cloud. You can put in as much or as little as you like (as far as I understand it) and see how often you use certain words in your writing. You can also play around with the font, color and orientation of your cloud. To experiment, I took the prologue of a work in progress and put it in to Wordle. The piece is 3,695 words long. I was utterly convinced that it was going to be dominated by the word water. It took me a fair while to even find water on there. I figured goddess would play a prominent role. I was a bit surprised to see that Doge had taken the top slot, since that character was only in around half of the prologue. This application is interesting to see what we think we are writing about, and what we are actually putting down. Of course, the words don’t mean a lot without some kind of order to them. But all the things I thought were major or minor themes didn’t seem that important when crunched via the Almighty Method of the Wordle. Perhaps if I were less tired, or smarter, I would be able to figure out how the themes I’ve tried to incorporate do manage to show up in the word cloud. But alas, I have been giving tours all day and all I want to do is be a mindless zombie and drink my chai. And play around more with wordle. If anyone else feels like making a word cloud, feel free to post the results up here. It will be fun and colorful! Just for fun, I put this post into wordle, too.